BOMA NATIONAL PARK, South Sudan, March 13, 2012 (ENS) – A new headquarters building was inaugurated in wildlife-rich Boma National Park on Friday in South Sudan’s conflict-ridden Jonglei State. 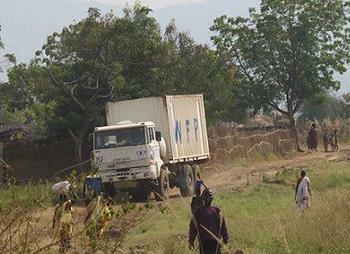 The world’s newest nation, South Sudan claimed its independence on July 9, 2011, but fighting still rages in Jonglei. Conservationists and South Sudanese and U.S. government officials hope that the establishment of protected area management and local governance infrastructure can contribute to security, stability, eco-tourism and economic growth, especially in this isolated region. 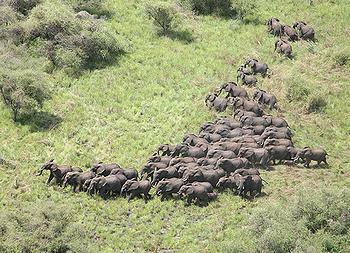 Boma was established as a national park in 1986, when South Sudan was part of Sudan. The new headquarters was built with funding from the U.S. Agency for International Development, USAID. Authorities in South Sudan have threatened to shut down oil production because of a lack of progress in talks to resolve a dispute with neighboring Sudan over revenues and tariffs for the use of Sudan’s infrastructure to export the commodity. Governor Juuk said that establishing and strengthening wildlife management and government presence here will help to bring general security to the area. Boma National Park covers 20,000 square kilometers of woodland savanna and grassland in Jonglei and Eastern Equatoria states. 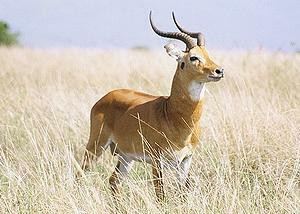 The park protects one of the largest intact savanna ecosystems in East Africa, hosting populations of elephants, giraffe, buffalo, numerous antelopes, including common eland, lesser kudu, Bohor reedbuck, gazelles, tiang, Lelwel hartebeest, Beisa oryx, and roan, and a wide diversity of migratory birds. Boma also hosts critical breeding grounds for the 750,000-strong white-eared kob migration and provides dry season forage for other migratory antelopes. Protected area management here is expected to play a critical role in strengthening and supporting local government and improving security in addition to protecting biodiversity and providing a sustainable foundation for economic growth. USAID and the Wildlife Conservation Society are supporting the South Sudan Wildlife Forces to undertake law enforcement and monitoring activities and to develop security partnerships with other armed forces and local communities. South Sudan is at war with at least seven armed groups in nine of its 10 states and interethnic warfare that precedes the war of independence is widespread. In December 2011, tribal clashes in Jonglei intensified between the Nuer White Army of the Lou Nuer and the Murle. Deadly clashes between the Lou Nuer and Murle in late December and early January displaced tens of thousands of civilians and prompted United Nations agencies to launch a major humanitarian operation to assist those in need. The United Nations peacekeeping mission in South Sudan today said it has sent patrol units and a medical team to an area near Boma on the country’s border with Ethiopia where unidentified raiders attacked several cattle camps occupied by members of the Lou Nuer ethnic group. Fighting in Jonglei is fueled by the prevalence of small arms, lack of government presence, and inaccessibility in the rainy season, due to the absence of roads. In 2007, the Wildlife Conservation Society announced the spectacular mammal migrations across the Boma region had survived decades of war, and said that vast tracts of savannas and wetlands remained largely intact. Surveys and GPS collaring research by WCS and the Ministry of Wildlife Conservation and Tourism over the past few years have revealed important transboundary linkages between the wildlife populations of Boma National Park with neighboring Gambella region of Ethiopia. Discussions for development of a transboundary protected area between South Sudan and Ethiopia are underway. The Wildlife Conservation Society says provision of high-frequency radios and training in their use and maintenance, along with other communications and transportation equipment, is enabling park staff to remain in close contact with local authorities and officials throughout the region and coordinate inter-agency conservation and security partnerships.